2042, post-peak oil America. The FBI and NSA have been merged into a single entity — the Federal Justice Agency — with wide-ranging investigative powers across state borders. Within it, a small core of elite agents, Special Crime Investigators, are brought in on the most difficult, dangerous cases to offer their expertise and abilities. New SCI Devlin Grace meets his partner, enhanced agent Connor Hutchens, for the first time. 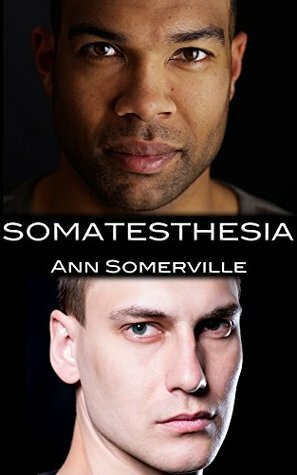 Connor is odd and damaged — but with the ability to hear, taste, feel, see and smell well beyond the senses of ordinary people. Together they must solve a dangerous, perplexing case before more children are killed or mutilated - and resist their growing attraction to each other, which could put their careers and their safety in great peril. In 2042, America finally comes to its senses and decreases its use of oil significantly while relying on solar, wind and water power. As a result, automobiles have become nearly obsolete and trains have become the primary mode of travel for commuters and industry alike. The cost of imports has become prohibitively expensive, forcing people to become more self-reliant and produce more local products. Crime is still prevalent, and the Federal Justice Agency, a group of elite agents with jurisdiction over state borders, strengthens its crime-fighting abilities by pairing up agents with scientifically enhanced senses with “normal” agents. Devlin Grace is new to the agency. He’s devoted to his family, committed to his work, and protective of his new partner, Connor Hutchens. Connor is the enhanced half of the duo. Although he has superior hearing and sight, he has a social anxiety that makes it difficult for him to interact well with others. His childhood was traumatic, having been abandoned by his real parents and then losing his adoptive parents along with his eyesight in a car accident. He was then adopted by an emotionally distant Japanese scientist who provided a good life and security for his young charges as he experimented on them. Though the two men couldn’t be more different, they work well together and efficiently put their brains and abilities to use in solving a series of bizarre kidnapping cases. Despite agency rules against fraternization, it is inevitable that the two men eventually fall in love. I enjoyed the fast pace of this story, the growth of Connor and Devlin in and out of their relationship, the well-developed secondary characters, and the twists and surprises that made me think, made me laugh, and brought a tear to my eye. I felt the ending was wrapped up a little too quickly and neatly, but that didn’t detract from my enjoyment of the story. Another winner from Ann Somerville!